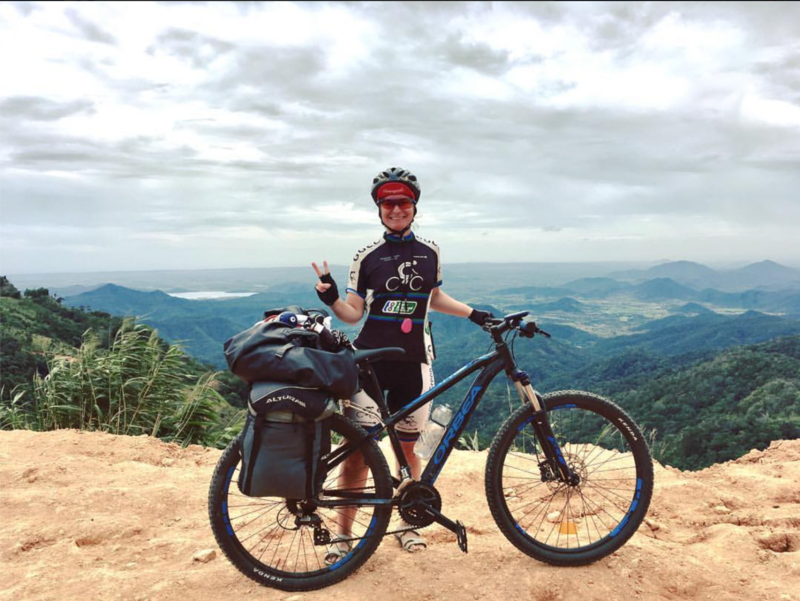 For interview number two of Women Outdoors, Glasgow based Spanish wonder-woman Lourdes talks to me about her incredible solo cycle-tour across Vietnam. 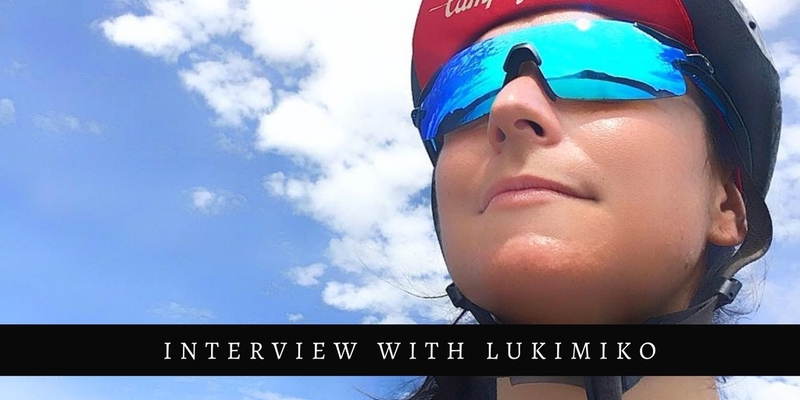 Describing herself as a ‘derpy day-dreamer with a love for bicycles and travelling [and not to mention she’s the] proud owner of a serious coffee addiction and a penchant for cheese and good wine.’ It was a journey of many highs and a couple of lows but she’s come out on top with some fantastic experiences to remember. I urge you to read on – her story inspired me and I really hope it does you, too. 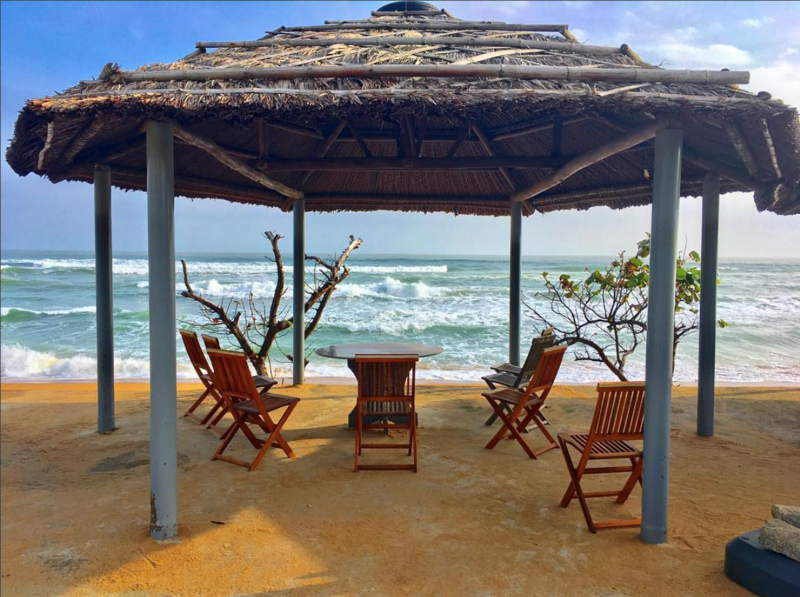 “I think most travel blogs and related literature out there are quite exciting in their own right and for different reasons, but they only seem to give us one message, one option, this standardised bohemian dream that you have to be young and fearless and most likely a white male. Periods and dealing with harassment or racism are omitted, not properly dealt with. Or they’re struck off as a myth and if you dare to worry about them – or even consider how to deal with these – then you are no material for going out there and have amazing experiences. H: Is cycling your thing? How did you get into it? L: Absolutely! Cycling and travelling are my main passions, although anything outdoorsy gets me a smile from ear to ear. I properly got into cycling in 2010 when, during a typical Scottish wet afternoon, I picked up one of Anne Mustoe’s books while pottering about Waterstones looking for travel guides. Then my good friend Robert Young who was already an avid cyclist helped me to get started with my first hybrid, a Specialised Vita Sport, which I affectionately called Hummingbird. H: What inspired you to take on this challenge? Explain to me a bit about it and why you’re doing it. L: I don’t think that I would categorise my trip as a challenge. 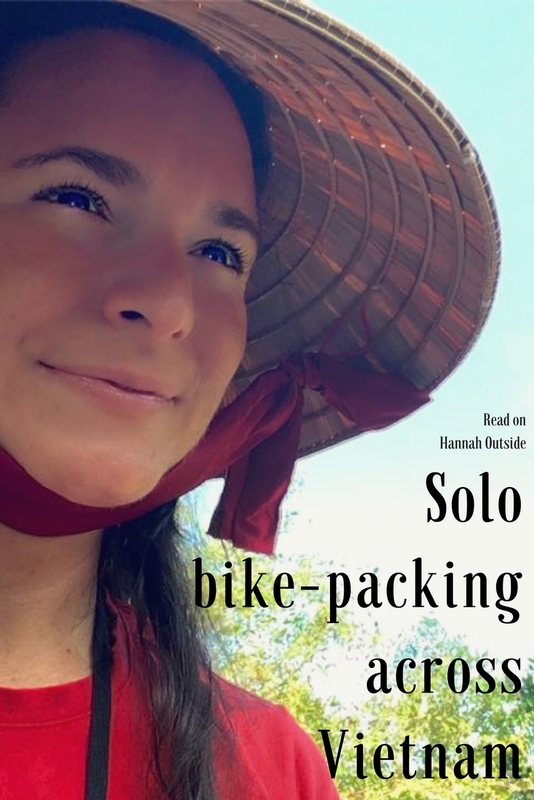 I didn’t set out to make my way through the country as fast as I could; I was cyclo-touring. 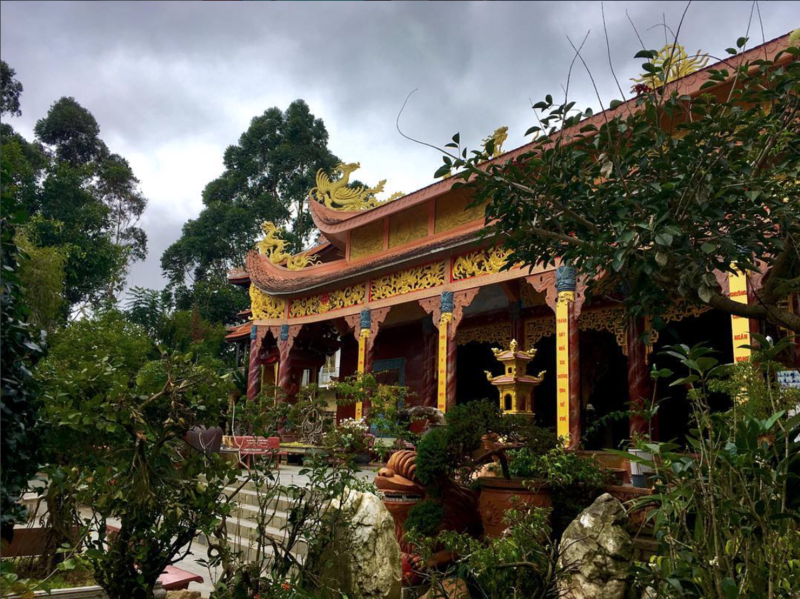 I went to Vietnam to soak in its culture, the beauty of its nature and learn more about the local people by being in direct contact with them, removing the barriers that travelling as a tourist backpacker or within a group creates. 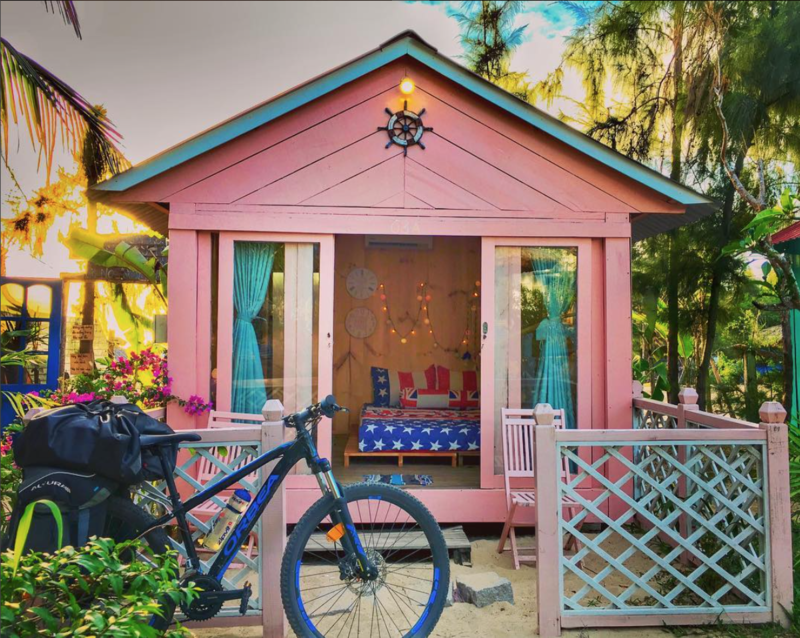 Riding a bicycle is the perfect means for travelling. Cycling is fast enough that you get to places but slow enough that you can enjoy and immerse yourself in those places. You are fully self dependent, can go off the beaten track straight away, it keeps you fit and local people can relate to you in a way that no other means of transport have ever allowed me to experience. There is something about the humble bike and the conscious effort that takes riding one that brings people together. This might sound weird as a statement since compromise and planning tend to bring up a host of negative connotations and reactions, but this grossly understated combo by no means entails that I’m not getting a spontaneous, wholesome and immersive experience. On the contrary, compromise is what has brought me freedom, let me be carefree and it’s what allows me to have my cake and eat it. And man, let me tell you, it tastes glorious! H: Compromise! That’s a great way to fit adventure in. How do you go about it? L: Before, I struggled for years to try to figure out how I was going to be able to save the money to travel around the world and to support myself for the years it would take, and of course then come back home to nothing and most likely reaching an uncomfortable age to start aiming for any sort of career, never mind if you have aspirations for a family or saving for old age. My resolution is that my life – the whole of my life – is going to be my trip around the world. This way I get to continue working in a field that I’m passionate about (I work for the renewable energy industry). I get to see my friends and family often and every year I have a whole year of preparation for the next trip. I have a whole year of getting excited about a new adventure, planning it and learning about the country and culture that I’m about to immerse myself in. I then come back home with stories, new friends and the circle starts again, and again, and again, a never-ending loop of excitement, travelling and good times. H: You were still employed through this trip then? You didn’t give up your career? L: Maintaining a job allows me to be able to travel more comfortably, it means that I can sample the local foods and go to the museums or on specialist excursions without worrying too much, I can treat myself to a night in a nice hotel from time to time if so I wish, even though I still prefer my tent without hesitation. I don’t skimp on my vaccinations or travel insurance and it gives me peace of mind that I have money in the kitty to be able to resolve unforeseen events. H: How did you approach your work to do this trip? L: I’m quite lucky that at my workplace there are provisions that every 5 years you can discuss the possibility of a gap year without losing your job but I hadn’t used this perk. I went to my boss about one year before the date on which I wanted to start my trip and asked if it would be possible to have back to back the holidays of 2 years (effectively 20 days of 2016 and 10 days of 2017). I was lucky that my boss understands what I do and was very supportive but also because of the nature of the business that I work in and the amount of time we had available before departure, we managed to adjust how to cover the needs of the company so my long absence wouldn’t jeopardise projects, that would have been a big no-no otherwise. H: How much were you spending each day on your trip? L: Let me reassure you though, that you don’t need much money for travelling at all. For this particular trip, my daily budget that had to cover everything, from accommodation, to food, drinks, entrance fees, internet top ups or effectively anything that wasn’t already with me in my panniers, was £33. Most days I would stay well under this amount. H: What did it take to plan it all? L: You mean besides letting my inner child out? I used a self-made blackboard, a map on the wall and every possible colour of chalks, pens and pins that I could find. Planning this trip was actually quite easy as I pretty much wanted to follow the coast of Vietnam all the way through. 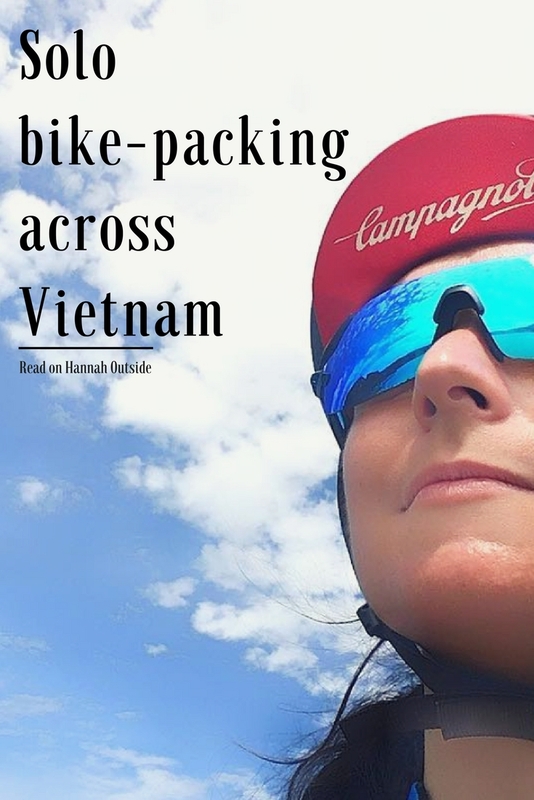 I did read about Vietnam quite a bit beforehand as it’s part of the fun and I knew that there were certain things that I wanted to see and do, but beyond that nothing much as I didn’t want to force a schedule on myself. I wanted to be surprised by the country and just follow whatever flow was working for me while there. But these are practicalities that any trip outside of your country would require regardless. H: What kit did you take with you? L: This question made me giggle, because it made me remember what a team effort was getting my kit organised and how hilarious it was at times! 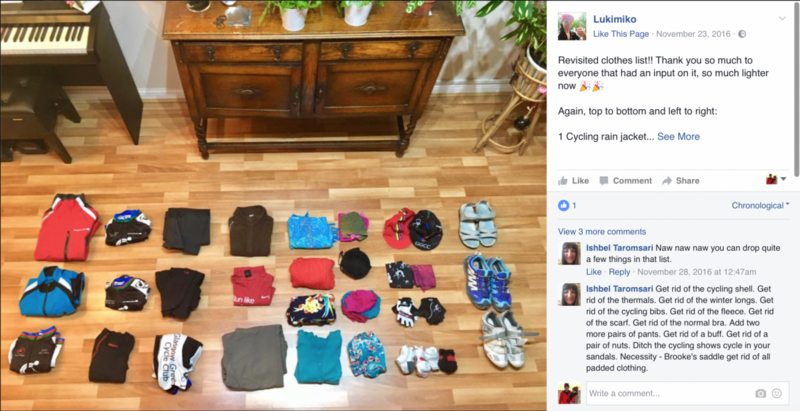 I am quite lucky that I’m surrounded by people that are more experienced than me in terms of camping, travelling and cycling so what I did was to create a series of pictures with my kit organised on them and then put them to the scrutiny of the masses through my Facebook blog. You get to defend your choices and to hear other options and opinions, folk playing the devil’s advocate, challenging you on why you are carrying what you’re carrying and eventually you make a choice. My friends were also very generous and several offered me great kit to borrow, it was very humbling. I still think that you can only really learn by your own experience what really works for you though, but thanks to this process I reckon that my kit was about 30% lighter than what would had been otherwise. I think that if I was to pack again for the same trip I could shed another 15-20% of the weight. H: What was your favourite/most memorable part of the trip? L: I don’t think that I could single out a one moment that made the trip – there were so many! 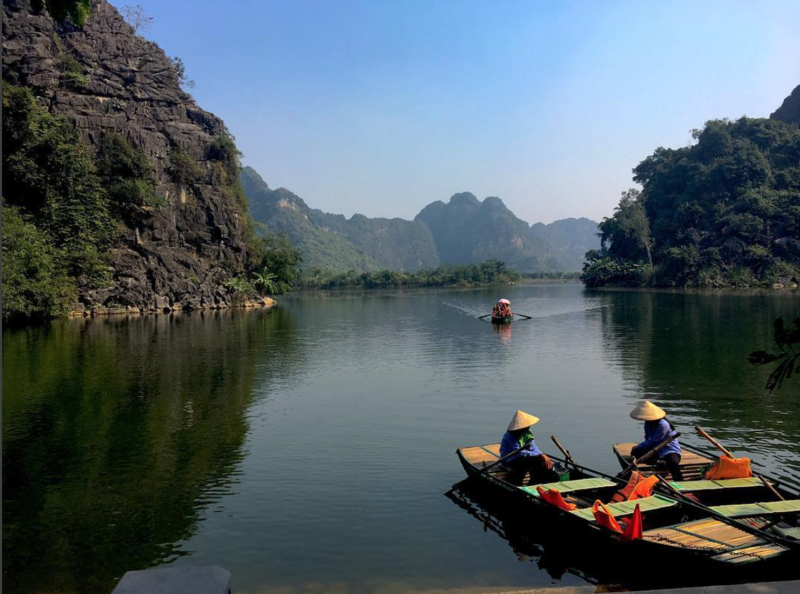 I can vividly remember the awe of seeing the mountains of Ninh Binh through the mist. The silhouette was like those oriental paintings, just like the imagery on old china, and this happened when I was completing my first day of cycling. I was already hysterically happy and astonished that I had not died in the crazy Vietnamese traffic, too! … but above all it was the people. I would be received with such candour, from the continuous stream of hellos, to people wanting to make conversation even when we were on the motorway, to the offers of tea and coffee, to stopping for a ‘quick coffee’ as a costumer (and then spending the following 2 hours reading in English to the family kids, surrounded by several generations of the same family which were nowhere to be seen when I appeared to their little stall to begin with). I have even had a very sweet girl and her family inviting me to spend Christmas with them after only having met me for 10 minutes. 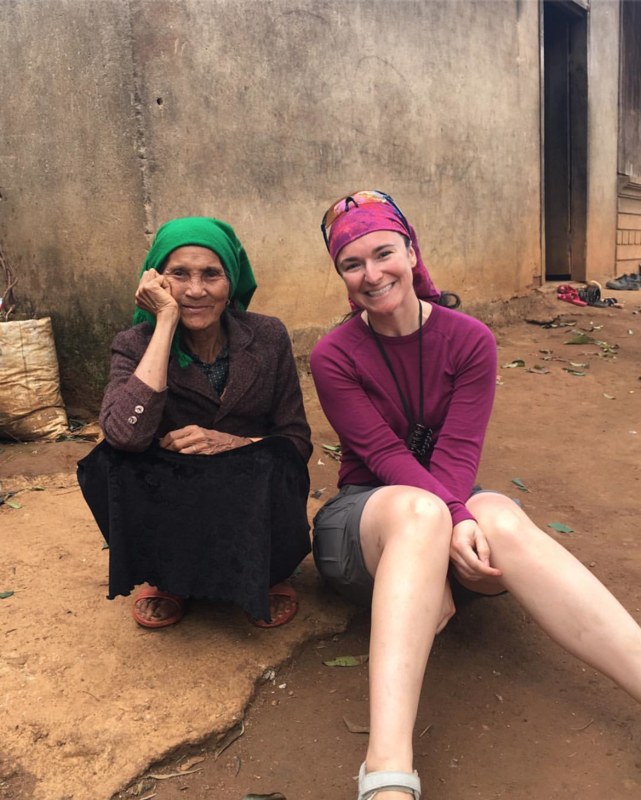 I was also rescued in the mountains at sunset, during a storm by 2 local men in a truck who delivered me safe and sound to my destination – without wanting anything in exchange. 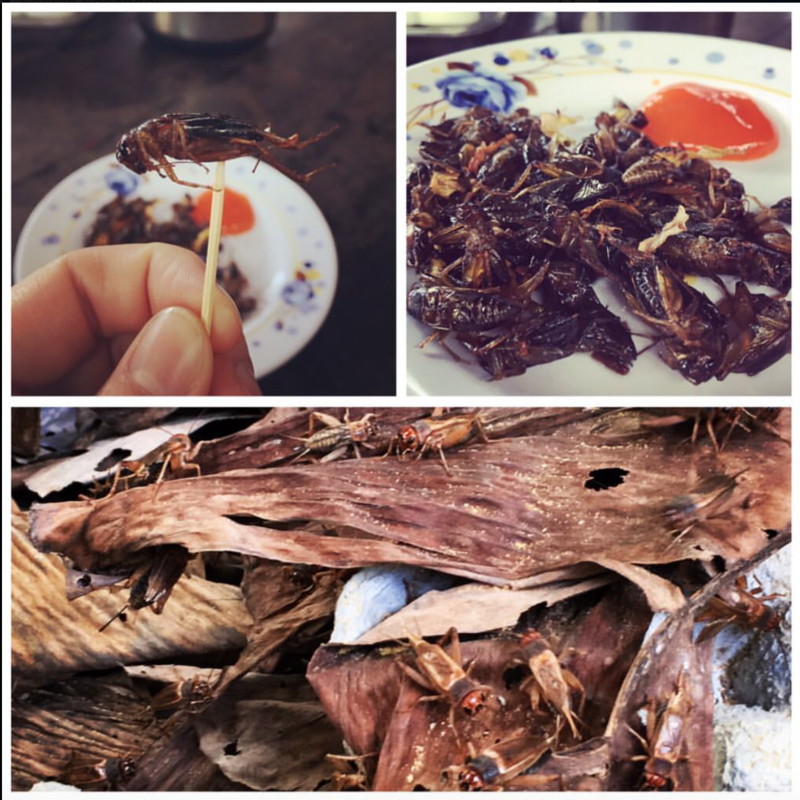 I also spent an afternoon collecting seafood and fishing in the Mekong delta (the traditional way) with a local family that had invited me over, then we climbed palm trees to retrieve fresh coconuts and have a barbeque there and then. It is the simple things, the things that you cannot really plan or pay for that made the most beautiful memories. H: And what about the worst? H: How did you feel when you completed your journey? L: I felt sad and happy at the same time. I felt sad because I knew that although only momentarily, I was going to have to stop travelling, that my time for this round was up, 6 weeks had passed flying sooo very fast!! But on the other side I was proud of the personal achievement of having covered the distance and negotiated some very challenging terrain and circumstances without much training. I was happy and grateful of the things I’d seen and the people that I had met on my way, not just the locals but I have also met some wonderful foreign travellers too with whom I’ve kept in touch and who are an inspiration to me. I’m not new to travelling and integrating in cultures different to my own but I would say that this particular experience is the one that has grounded me the most. It has reminded me just how lucky we are in Europe and just how easily we lose track of it and get lost in our otherwise mundane if not petty problems. H: So you would you do it again? 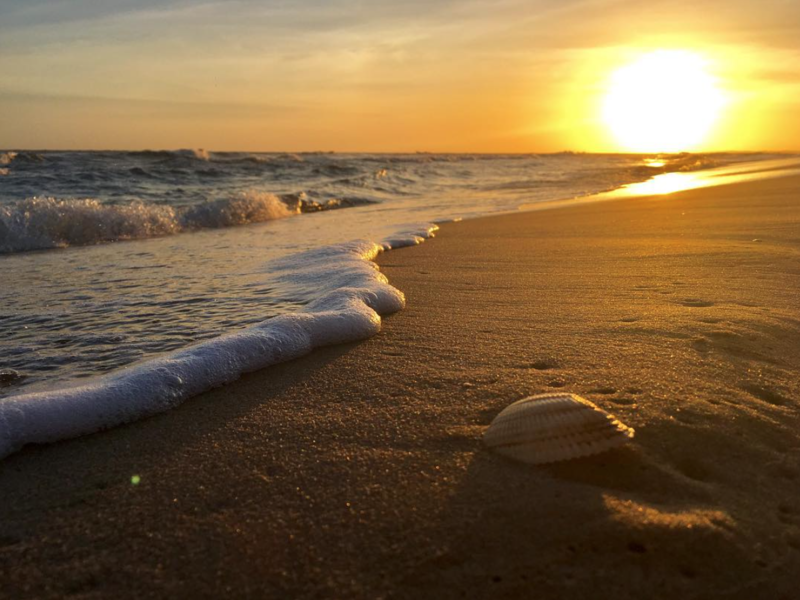 Do you have another adventure on the horizon? L: Hell yeah! I am still savouring the memories of Vietnam and have so many things that I still want to write and talk about but yes, my mind is already gearing up for another bit of wanderlust. I will most likely travel to Eastern Europe. I have not fully decided yet whether to do a multi-nation trip or to focus on just one and circumnavigate my chosen country. What is for sure is that in 2018 I’ll be back in South East Asia. They won’t get rid of me so easily! H: Finally, what would you say to somebody who was thinking of taking on a similar trip? a) Do your research about the country that you want to visit but don’t over-plan. c) Most people that will ever cross your path are good people. d) Above all, have fun and don’t rush it! It’s going to be great, so breath in, breath out, chill and enjoy the wind in your hair. Many thanks to Lourdes for talking over her trip. It has me very jealous and eager to go exploring. All photos and words from Lourdes – see links below for Instagram and Facebook. What route did you take? How did you find camping? I’m going in a few weeks!